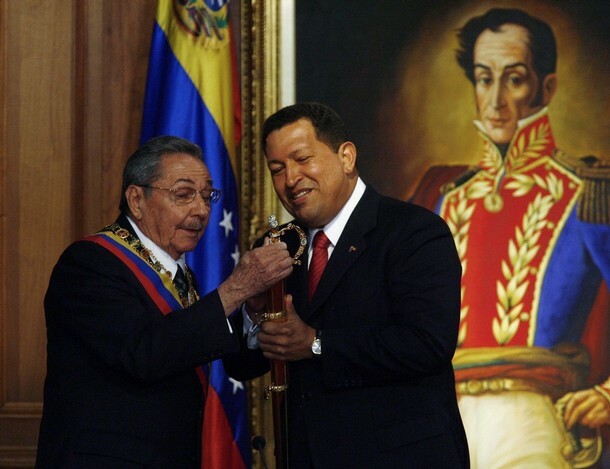 It’s easy to lose track of how, over time, chavistas have shifted from dismissing cries of "cubanization" to accepting, even glorying in the charge. As Raúl Castro calls the two countries "more and more the same", it’s worth stopping to ponder what that means, exactly. On the one hand, this stuff about revolutionary merger is clearly more a statement of intent than a description of reality. For all of its authoritarian power slide, Venezuela is still some ways from turning into the out-and-out police state the Castro Brothers have created. …would prove to be the most difficult research mission Human Rights Watch had undertaken in the region in years. Our team entered on tourist visas and traveled the length of the island by car, telling no one in advance that we were coming and never staying in any town for more than one night.1 The fear we had sensed over the phone was even more palpable on the ground. Some people became so uneasy talking about government abuses that we cut short the interviews and moved on. Several alerted us to watching neighbors who monitored suspicious activity for the local Revolutionary Defense Committees. A Baptist minister, when asked about human rights, told us quietly that what we were doing was illegal and asked us to produce identification. Yet many people welcomed us into their homes, where they spoke frankly of their experiences. Small boxes and folders were brought out from beneath beds and inside kitchen cabinets, with official documents that corroborated their stories. Among much else, we were shown a court ruling from a dissident’s trial, which his wife and children were not allowed to attend; a parole order warning a journalist that he could be returned to prison at any time; a letter denying a critic of the government permission to travel. Piece by piece, the evidence stacked up. The human rights treaties had not been ratified or carried out. The “open” forums to discuss government policies were governed by strict rules that prohibited any talk of reforming the single-party system. More than one hundred political prisoners locked up under Fidel remained behind bars, and Raúl’s government had used sham trials to lock away scores more. These new prisoners included more than forty dissidents whom Raúl had imprisoned for “dangerousness.” The most Orwellian provision of Cuba’s criminal code, this charge allows authorities to imprison individuals before they have committed a crime, on the suspicion that they might commit one in the future. Their “dangerous” activities included failing to attend pro-government rallies, not belonging to official party organizations, and simply being unemployed. Those who continue to speak out while in prison are isolated even further. One man was arrested and sentenced to four years for “dangerousness” after he tried to hand out copies of the Universal Declaration of Human Rights in public in 2006. In 2008, he attempted to commemorate International Human Rights Day (December 10) by reading the Universal Declaration aloud to fellow inmates. But according to his wife, a guard cut him short, ordering him to eat the text—literally. When he refused, he was beaten, thrown into solitary confinement for weeks, and sentenced in a closed-door hearing to six more years in prison for disrespecting authority. The simultaneous shock of recognition and otherness you get in reading about Human Rights in Cuba is chilling in its own way. It really is like looking into a Fun-House Mirror version of Chávez-Era Venezuela: all the same elements are there, but grotesquely exaggerated, monstruously distorted. After all, isn’t Franklin Brito currently imprisoned for his "dangerousness"? And how long can it be before the Chávez government – "more and more the same thing" as Cuba – shifts from merely firing public employees who don’t attend official rallies to jailing them? And once you’ve crossed that line, what’s stopping you from threatening everyone with jail for non-attendance?